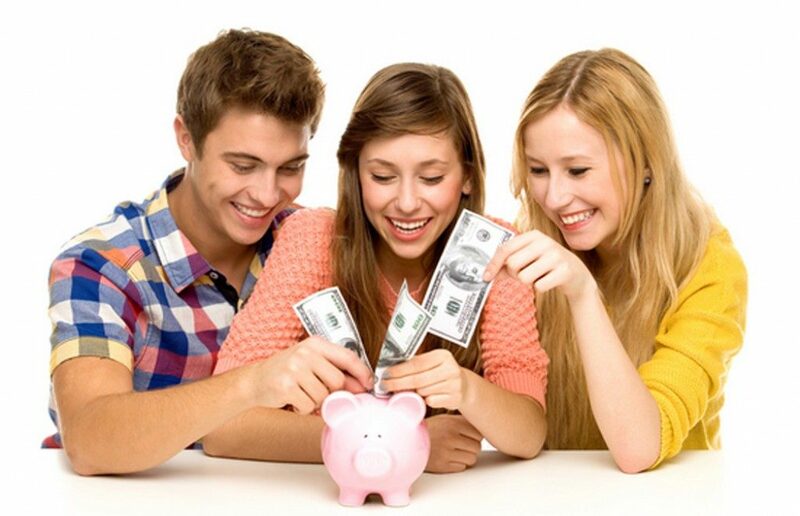 The Stash Your Cash Teen Club is a great new teen savings and financial education program brought to you by MLFCU. It’s all about learning how to manage money and finances. That means it’s all about you, our teen members! This club features an informative website designed just for you. Sure, learning to manage money can be pretty tough, but with the help of MLFCU, it can also be a lot of fun! Okay, so we all know that balancing your checkbook is not one of the more exciting tasks in life. Even though balancing a checkbook might seem like a scary chore, it’s not really that difficult. If you keep up with your spending and earning and update your checkbook each time you do a transaction, balancing your checkbook is simple and can prevent major financial blunders. Each time you do a transaction that will effect your account, you should record the amount of money you are depositing or withdrawing in your checkbook register and then you should add or subtract the amount from your previous balance. If you can get into the habit of doing this every time you use your account, you will always have a balanced checkbook and you will never have to dread the daunting task of sitting down with all of your receipts and figuring how much money you have left. Just in case you do forget to enter a transaction, you should keep your receipts in a file or box at home. You should also keep receipts until you get your monthly statement from your credit union and make sure your checkbook ledger matches the statement. If it does, you can then shred your receipts. But if your ledger does not match the credit union statement, it is time to sort through the months receipts to see if there are any that you forgot to record. If you do save your receipts, make sure that you put them in their place first thing when you get home so that you do not lose any of them. At the end of each month when your statement arrives, you should get your receipts, statement and checkbook, sit down and go through your checkbook ledger and your statement to make sure everything matches. When you find a match check it off until everything on the statement and in the ledger is checked off. If something does not have a checkmark it is time to sift through the receipts. Once there are no discrepancies and the balance on the statement matches the balance in your checkbook, you are done for the month. Click on this link to our spreadsheet for help with balancing your checkbook. You can enter your own numbers into the blanks and figure out your current balance. Remember, keeping your checkbook balanced and up to date is a lot more fun than waiting until the end of the month and risking a checkbook disaster. Need some help settting up a budget? Try using our easy Budget Spreadsheet. Everything is formatted and computed for you, so all you have to do is figure out how much you spend on each item. Your Credit Score…Honestly, It’s Not Just a Random Number. Your credit score can seem like an arbitrary number that lenders just randomly pick out of a hat. However, there is a little more method to the madness than first meets the eye. The reason you have a credit score is so that you can have quick and easy access to loans. It is kind of like having a GPA. In the same way that colleges look at your GPA to judge your character before accepting you to their school, lenders will look at your credit score to judge your financial character before lending you money. Your credit score provides lenders with information about your credit history and spending habits. They use this score determine how much risk is involved in lending you money, and how likely or unlikely you are to pay back the money that you have borrowed. Lenders get this information from the three major credit reporting agencies, Equifax, Experian and TransUnion. Remember that ever year you can and should get your free credit report from one of the three credit reporting agencies mentioned above. Simply, call and request your credit report so that every year you can see where your credit score stands with lenders, and how you can improve your spending and bill paying habits. We know that understanding financial terms isn’t always easy. That’s why we’ve put together a small list of financial terms. Annual Percentage Rate (APR) – the rate of interest (in terms of a percent, such as 9.4%) being charged for a loan over a year’s time. Look for APRs on such things as credit cards, student loans and car loans. Asset – any item of value that you own: house, property, jewelry, stocks, bonds, money in savings, etc. Balance – 1) In talking about loans, the balance is the difference between the original amount owed and the amount paid on the loan to date. In other words, the money you still have to pay. 2) In talking about checkbooks, balancing means to account for all money that came into and went out of your account. 3) In talking about savings, your balance is what is left in your savings account after you deposit or withdraw money. Bankruptcy – a state of being in so much debt that you are legally declared unable to pay in full the people and companies you owe. In some states, declaring bankruptcy means you must sell all your possessions and pay off your debts as best you can. Budget – a plan you create for controlling spending and encouraging saving. Certificate of Deposit – a type of investment that requires you to invest money for a certain length of time and guarantees the same rate of return (interest) for that entire period. CDs usually require a minimum deposit. Charge – to borrow money (from a store, service provider, or credit card company) to make a purchase. If you do not pay the debt off in full each month, you will pay interest on the amount you owe. Check Register – (sometimes called a check ledger). A booklet usually kept in your checkbook that you can use to keep track of all the deposits, withdrawals, and checks you write. After you record each transaction in your register, you subtract or add the amount to your checking account balance. If you keep your register updated, you will always know how much money you have in your checking account. Checking Account (or Share Draft Account) – an account where you deposit money to fund the checks you write. A credit union checking account is called a share draft account. Credit – a loan that enables people to buy something now and to pay for it in the future. Credit Rating – a “score” that a credit agency assigns you based on your ability to manage credit responsibility. Your credit rating depends upon factors such as on-time payments, age, and amount of debt accumulated. Debt – money or goods you owe. Debit Card – a card like a credit card that you can use to pay for things directly from your credit union account without the paying interest. You have to have the funds in your account at the credit union in order to spend them with your debit card. Deposit – to put money into a checking, savings, or other investment account. Dividend – a payment made by a company to a stockholder to share in the company’s profits. In a credit union, a dividend is the interest paid on your savings or share account. Expenses – things you pay money for – both needs and wants. Interest – the amount paid by a borrower to a lender for the privilege of borrowing the money. Interest Rate – the price paid for borrowing money, expressed as an annual percentage rate, such as 10.5%. Invest – to put your money into CDs, money market accounts, mutual funds, savings accounts, bonds, stocks or objects that you hope will grow in value and earn a profit. Loan – money or an object that is lent with the understanding that the loan will be paid back, usually with interest. Profit – the money you’ve earned after you subtract a) any money you had to spend to make the product or perform the service. B) any taxes that had to be paid on your earnings. Save – holding onto your money for a future goal instead of spending it now. Saving is the opposite of spending. Savings Account (or Share Account) – a credit union account that pays you interest for keeping your money in it. Share – a unit of ownership in an investment or a company or a credit union. Depositors in a credit union own the CU because it is a member owned financial cooperative. Withdraw – to take money out of an account.